Sholee's Sphere: Happy Mid-Autumn Festival! 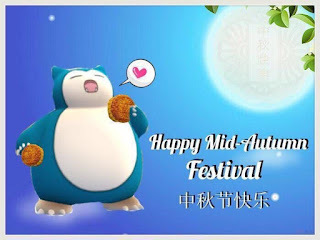 The Mid-Autumn Festival is a harvest festival celebrated notably by the Chinese and Vietnamese people. The festival is held on the 15th day of the 8th month of the lunar calendar with full moon at night, corresponding to late September to early October of the Gregorian calendar with a full moon at night. Hope you have a wonderful time playing lanterns and also ate lots of mooncake!! !